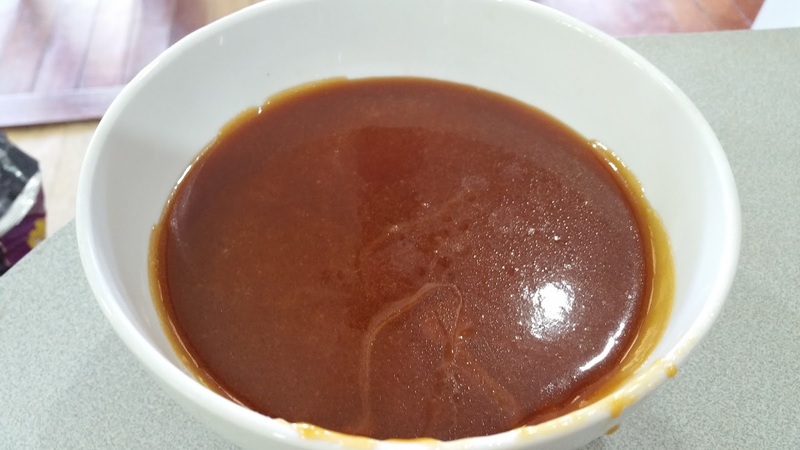 20.06.2017 - Whao...I just love my Caramel Sauce this time!! Its thick just what im after. Look at that Beautiful color!! and so smooth texture!! 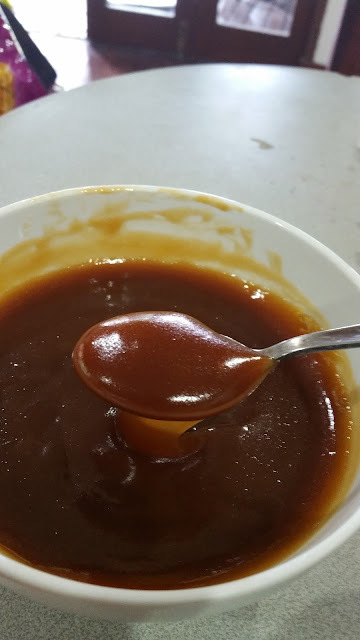 Just like eating caramel candy ...MMmmmmm love it. 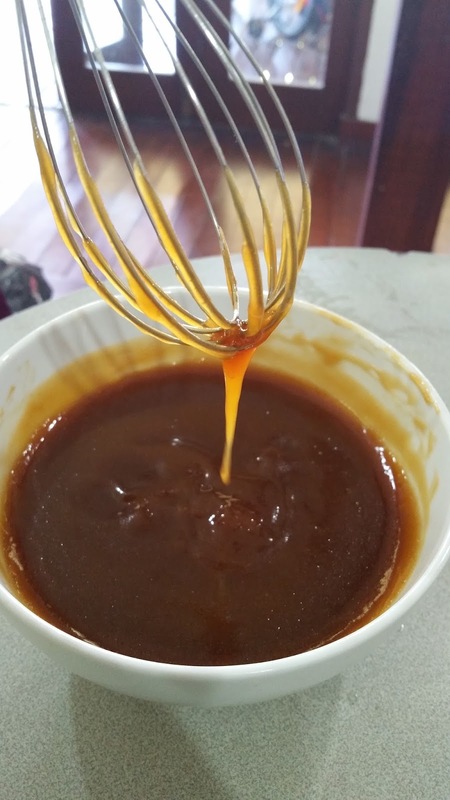 Why should you need store bought caramel sauce when you can make this yourself in such short time. All you need only 3 ingredients to transform this into a delicious Caramel Sauce from scratch. 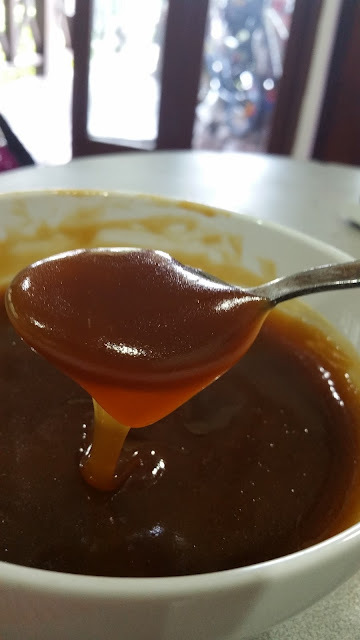 * Heat sugar on low - medium heat in a heavy bottom 3-quarters saucepan. * Be patience, let sugar melt slowly. 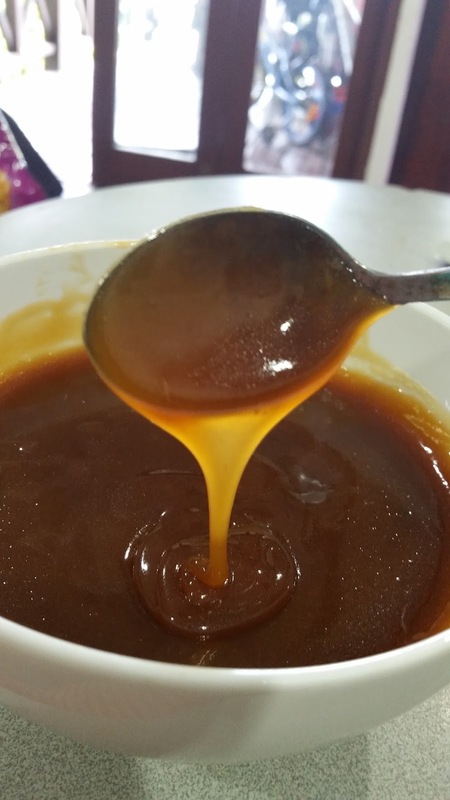 * As the sugar begins to melt, stir with a balloon whisk or wooden spoon. As soon as the sugar comes to a boil, stop stirring. * You can swirl the pan a bit if you want, from this point on. Note that this recipe works best if you are using a thick-bottomed pan. 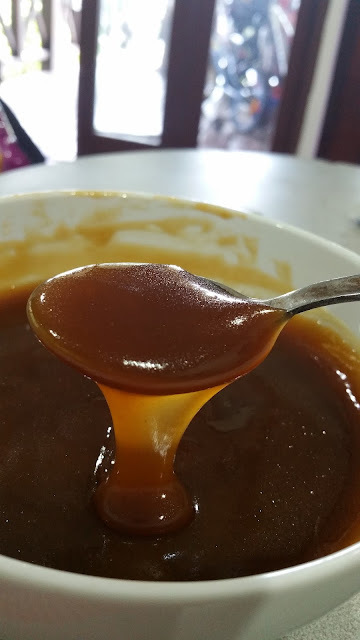 If you find that you end up burning some of the sugar before the rest of it is melted, the next time you attempt it, add a half cup of water to the sugar at the beginning of the process, this will help the sugar to cook more evenly, though it will take longer as the water will need to evaporate before the sugar will caramelize. * When sugar evenly melted, it turned into dark amber in color, becareful not to burn. Immediately add the butter to the pan. Whisk until the butter has melted. * Then slowly add the cream whisk to incorporate. * Note when you add the butter and the cream, the mixture will foam up. This is why you must use a pan that is at least 3-quarts big. 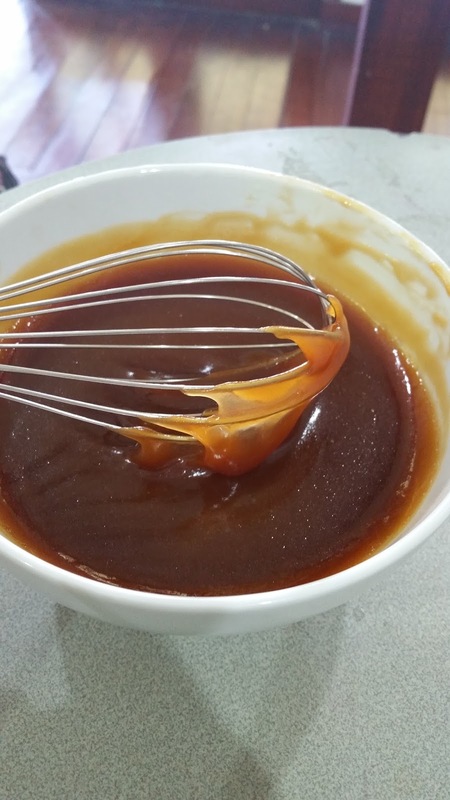 * Whisk until caramel sauce is smooth. * Let cool in the bowl and transfer into a jar . Store in the refrigerator for up to 2 weeks.